Plain ferro sheet is available in two thicknesses, 0.4mm and 0.6mm. Your choice will be determined by the level of magnetic reception you require with 0.6mm offering a higher level of reception due it's higher iron content. Magnetic receiptive surface - Perfect Holding! Ferrous sheets and tapes are not magnets; instead they provided a surface that magnets stick to very well. 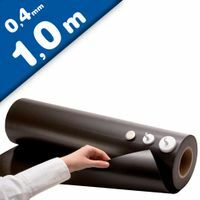 Plain Ferro Sheet 0,4mm - you can stick Magnets to it! Magnetic receiptive surface - Perfect Holding! Ferrous sheets and tapes are not magnets; instead they provided a surface that magnets stick to very well. 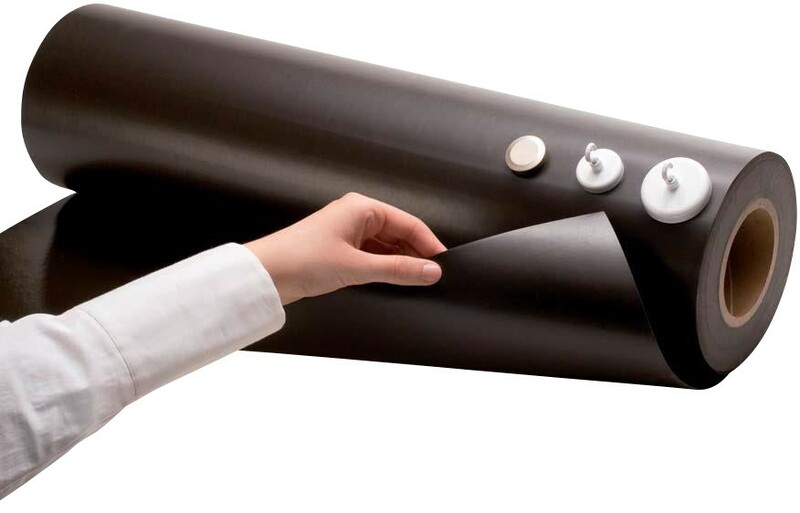 When you use magnetic receptive tape or sheet from Magnosphere, you don’t need to have metal in your display or packaging. These products work well in interchangeable graphics, menu boards, point of purchase displays, package closures, crafts, and more. Special sizes are available upon request. Just ask! These steel foils contain real iron particles and are available as self-adhesive and non-adhesive. This product is extremely versatile, to meet the demands of a multitude of applications. 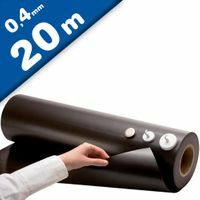 As this product will pair with magnetic tape, magnetic sheet or neodymium magnets it can be supplied in master rolls, sheet format or in rolls of tape.